I spent a great deal of 2018 counting down the days until the new Cloud Nothings album was released. Everything I read about it made it seem like it would be right up my alley. While their last album, Life Without Sound, took things in a slightly quieter direction for the band, Last Burning Building was advertised as a return to the loud, heavy guitar sound that the band had employed on earlier albums. I think they went too far in the other direction. 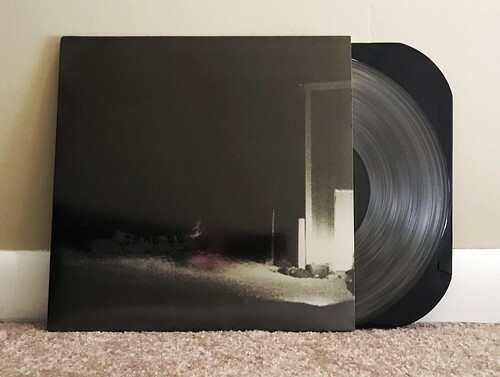 Here And Nowhere Else is the album that got me into Cloud Nothings and I still that record is essentially perfect. A wild blend of crunchy and loud guitars, mixed with big hooks and impassioned melodies. Everything else I've listened to from Cloud Nothings has been me chasing that perfect mix. Last Burning Building falls short. In general it's just too dour and is lacking the melodies that are the reason I fell for the band to begin with. Whether it's the non-stop screaming in album opener "On An Edge" or the plodding guitar riff of "So Right So Clean" or the super unnecessary, never-ending feedback mess of the ten plus minute long "Dissolution," Life Without Sound is directionless and lacks cohesion as an album. That said, when the band does stick to the upbeat and noisy pop songs that they are best at, the results are incredible. Both "Leave Him Now" and "Another Way Of Life" are outstanding songs, as great as anything else the band has ever churned out. What I wouldn't give for an album full of songs like these.